Building materials crack for different reasons. 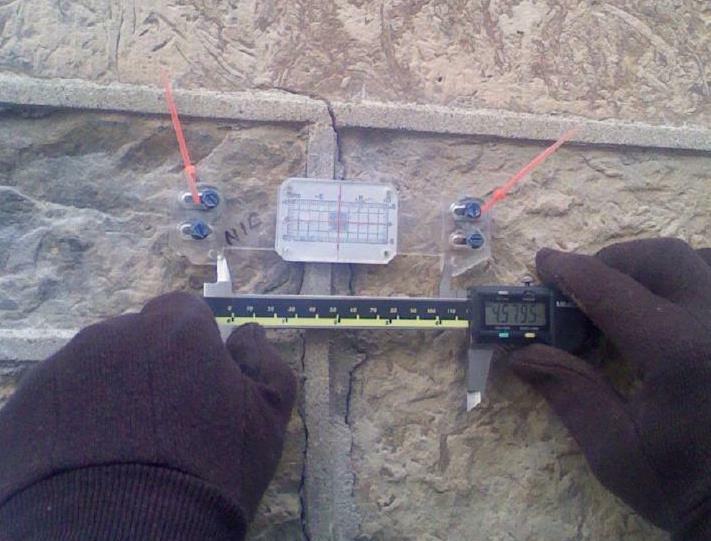 In some cases it could be a material failure of the individual masonry unit and not associated with the wall assembly. But in most historic masonry loadbearing walls the cracks have something to do with thermal change and or ground movement or possibly a water related issue dealing with the foundation. Either way cracks must be repaired to prevent water from penetrating the structure and causing further damage. There are many different types of crack repair products on the market today. Basically they break down into two main categories 1) ridged repair or stitching the masonry units back together – for example, epoxies would be in this category. 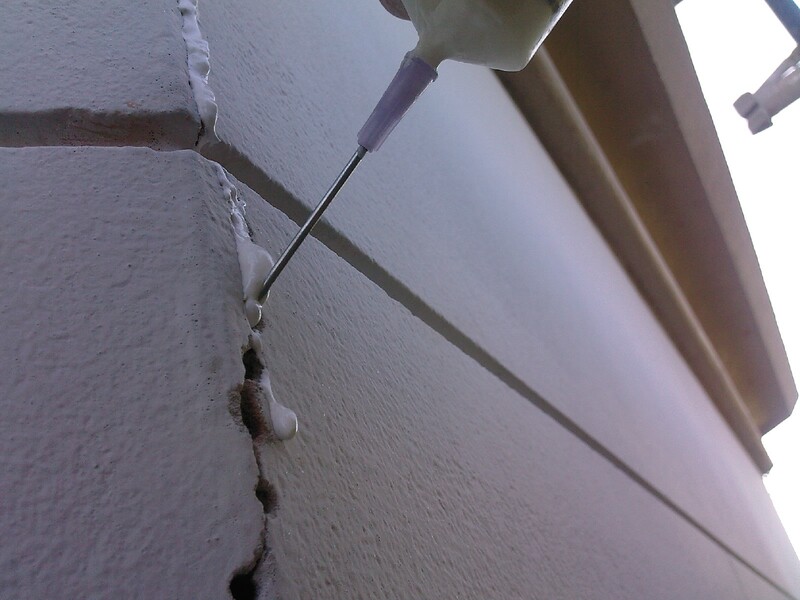 You would use epoxy material when you are repairing an individual masonry unit like a piece of terra cotta damaged from a wall anchor or manufacturing defect. The second category, and more common, is that of a movement crack, or a dynamic crack, that changes its width and dimension during the change of seasons and under different weathering cycles and building movement. These cracks are generally continuous and follow a distinct pattern from the ground level through to the top of the wall and often through the entire width of the masonry transferring on the inside of the wall surfaces. A crack like this would need to be repaired with something other than epoxy. Because experience has taught us that if we inject a movement crack with epoxy – another crack will likely appear 6 to 8 inches on either side of the original one – as the building still moves in this location. A better choice of materials like a dispersed hydrated lime (DHL) injection material, or a flexible injection grout, one that accommodates movement would be the best material to specify in these areas. These materials seal off water infiltration while at the same time allow the movement to occur naturally. It is also helpful to establish how much movement you have on elevations by the use of crack gauge monitors. These monitors allow for the periodic measurement and evaluation of the crack at different times of the weathering cycles. It is best to know as much there is to known about your building problems before material specifications are finalized to be sure you have the right material for the right treatment. This entry was posted on October 8, 2011, 11:21 am and is filed under Uncategorized. You can follow any responses to this entry through RSS 2.0. You can leave a response, or trackback from your own site.